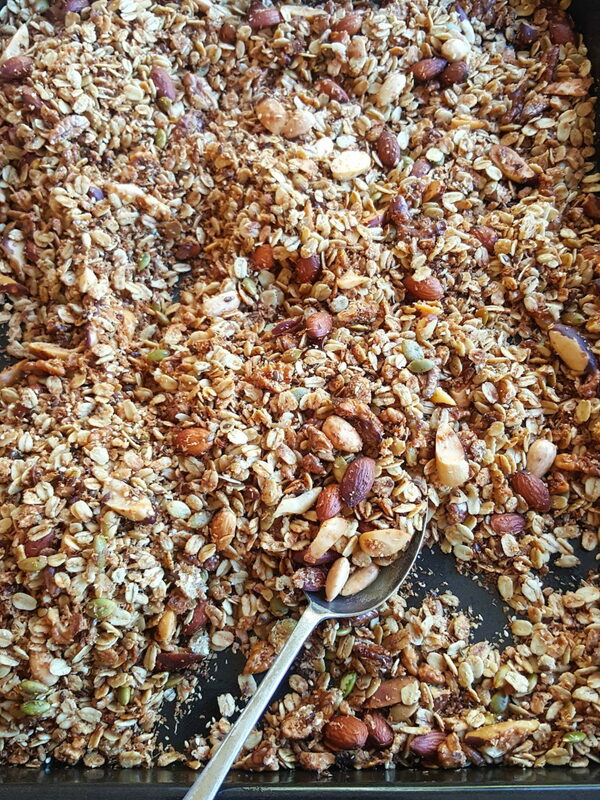 Homemade toasted muesli – a delicious and healthy start to the day. 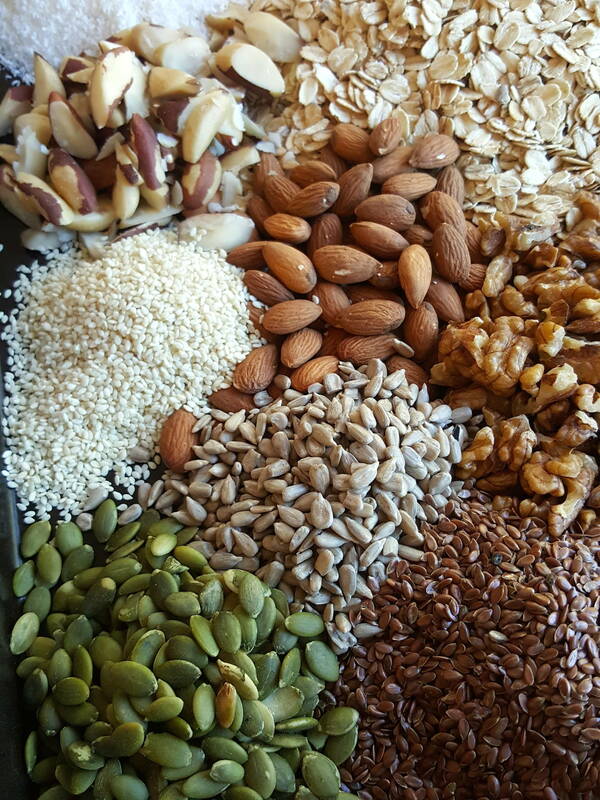 The three key elements for toasted muesli (granola) are oats, oil and a sweetener. You can mix up the rest to suit your taste. 1 Tip rolled oats and wheat germ into a large roasting dish. 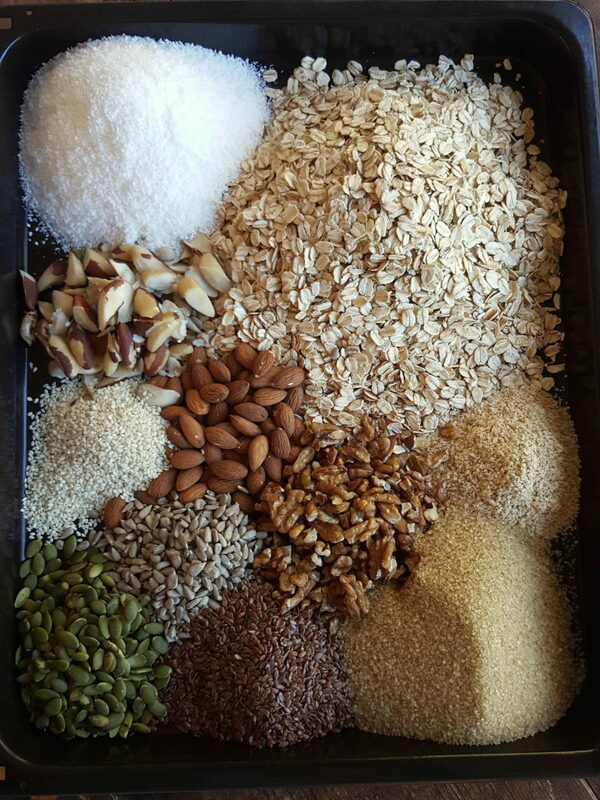 Add unblanched almonds, Brazil nuts, walnut pieces, sunflower seeds, linseed, pumpkin seeds, sesame seeds, desiccated coconut and raw sugar. Stir everything together with a large spoon. Mix oil, water, salt and vanilla extract together and pour liquid over muesli. Stir very well, then split mixture between two large roasting tins. 2 Bake for around 20 minutes in an oven preheated to 190°C (375°F), or until muesli is golden and everything looks toasted. Stir often, scraping mixture in from the edges of the tin, and be careful not to let it burn. Cool in the tins, then transfer to airtight containers. 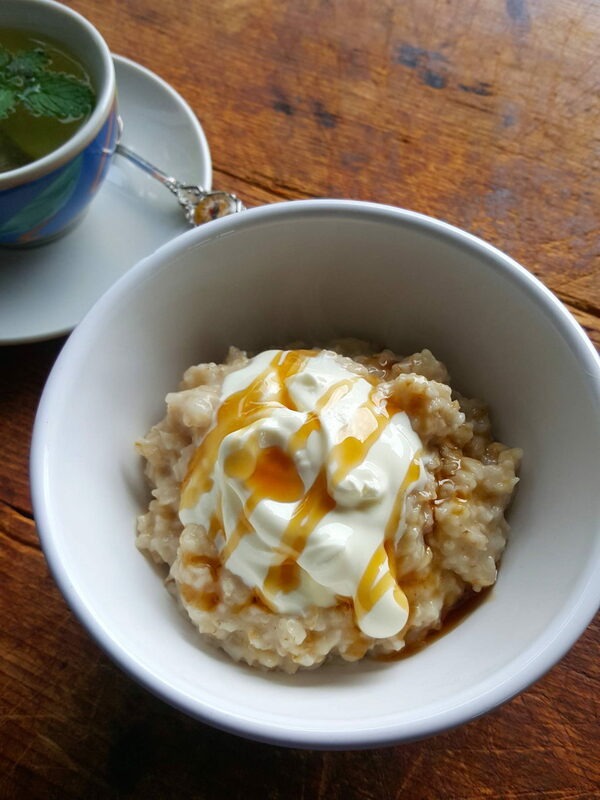 This scrumptious muesli is based on a recipe from our friend Norman, who based his recipe on the famous muesli from Cranks restaurant in London yonks ago. It’s hard to beat … just make sure everything you buy is very fresh. It’ll keep well for a few weeks if you store it in airtight jars away from direct light. Wheat germ turns rancid quickly when exposed to light or warmth so buy it in small quantities and store in a cool place. 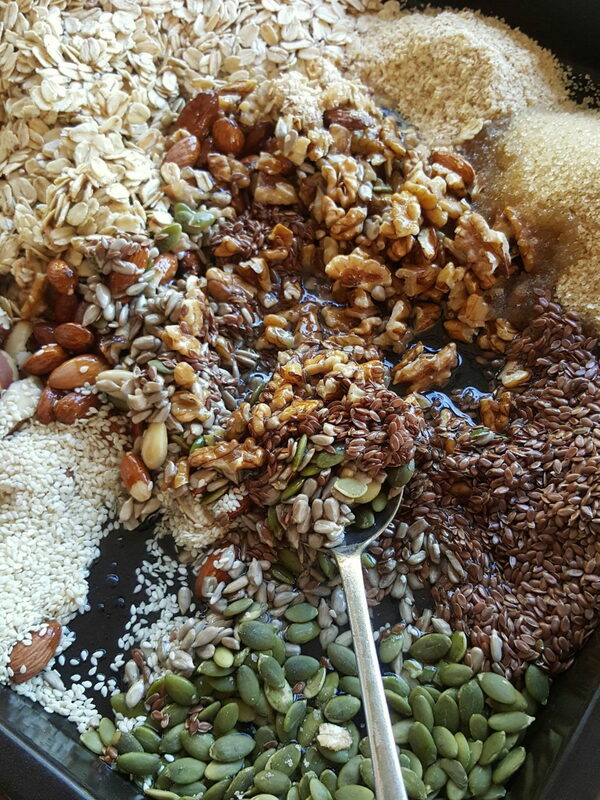 You will generally find American recipes for toasted muesli are sweeter than the recipe here, and if you like it that way, just add more sugar or honey. A sweeter mix will form clusters (yum!). Use raw, brown sugar or coconut sugar, honey or maple syrup to sweeten. Salt improves the flavour, but again how much to add is a personal choice. Add skinned hazelnuts (filberts) or sliced macadamia nuts, cashews or pistachio nuts. If using pine nuts, add them in the last 5 minutes because they can burn if they find their way to the edges of the tray. You can try chia and hemp seeds, and spices like cinnamon, allspice, coriander, cardamom, ginger and nutmeg can add a sweet or spicy note. Stir spices in at the end, and start with just a pinch because too much can overpower other ingredients (and once it’s in, you can’t take it out). I’m not fond of dried fruit in toasted muesli because it is too sweet for my taste, and, worse, it can turn hard as it cooks and dries out. I think dried fruit is better chopped and added to the finished muesli. 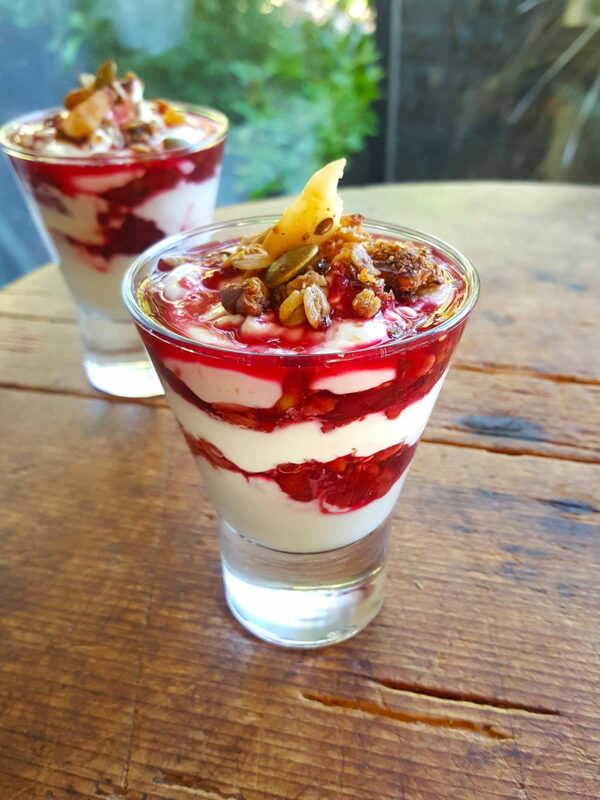 Try soft dates, goji berries, sultanas, sour cherries, dried apricots and the like. For more on maple syrup click here Want to start your day on a sweet not but still eat healthily? 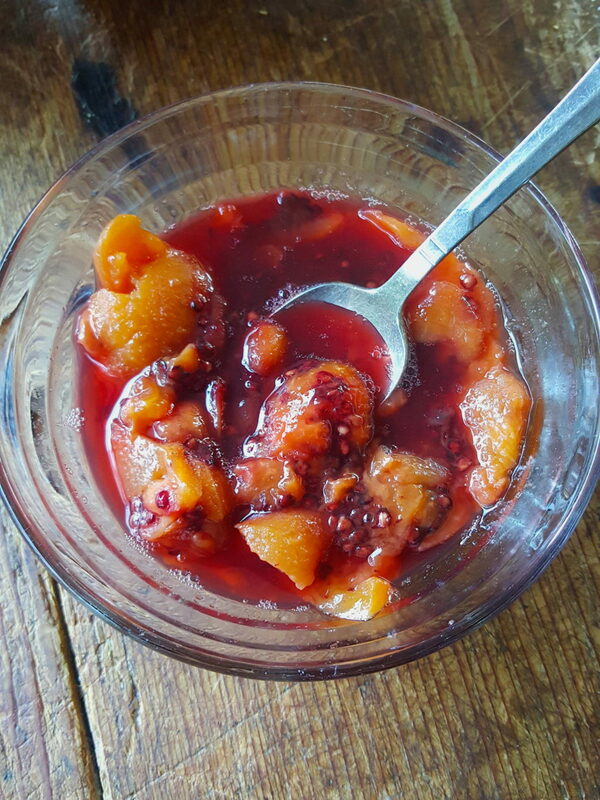 I often use jam with a bit of water instead of sugar , if there is an open jar needing used up, Apricot is best! Also coconut threads are less likely to all end up in the bottom of the container than dessicated coconut. Hi there. I like that idea of using the last of a jar of jam and rinsing out the jam jars. Brilliant. Good tip about the coconut threads as well.